Living Wage Coalition Organizer Marty Bennett addresses the crowd of home health workers and other supporters outside the Board of Supervisors' chambers Tuesday morning. 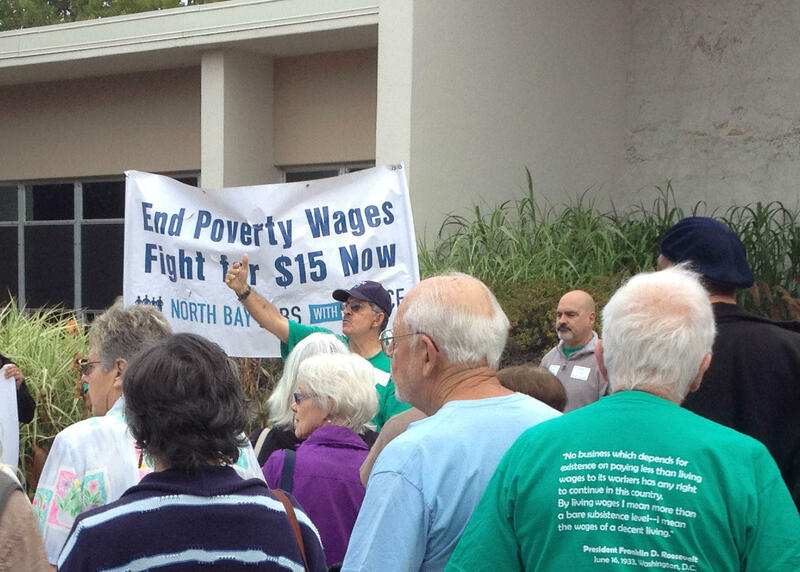 Signs of support for a living wage law in Sonoma County quietly filled the board chambers as the issue was briefly reviewed this week. 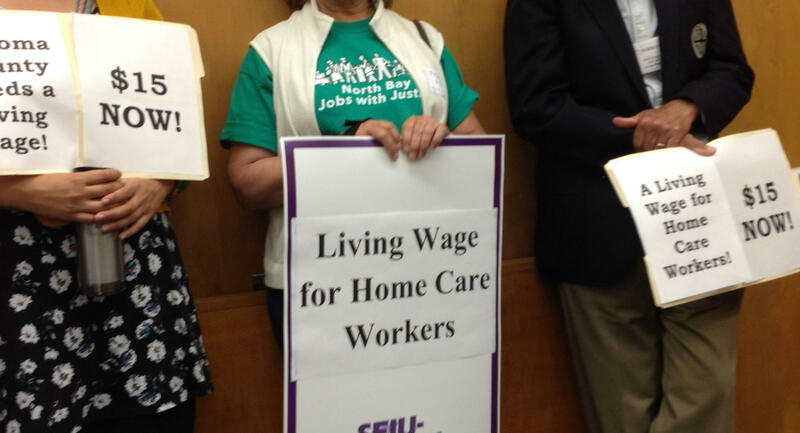 County supervisors endorsed a $15 per hour living wage for some county employees in June, but are facing continuing pressure to extend that benefit to include home health care workers.